After Monday’s special media event, a number of other questions about the Apple Watch are being answered. First up, 9to5Mac confirmed with Apple that each watch in the lineup – including the pricey Apple Watch Edition – will come with 8GB of internal storage. But there are some limitations. Users can only store up to 2GB of music directly on the device to listen to when not paired with an iPhone. That’s approximately 300 songs. Along with listening to music through the built-in speaker, you’ll also be able to connect to the watch via wireless Bluetooth headphones. There is only a paltry 75MB of storage allowed for photos. And you’ll only be able to view images that have been favorited on your iOS device. When transferring images to the watch, they will also be optimized for the much smaller display and to take up less space. That leaves around 6GB of free storage. Some of that is used by the watch’s OS, but Apple has said that developers will eventually be able to create standalone watch apps that don’t require tethering to an iPhone. Interestingly, TechCrunch was also able to confirm that the watch battery is replaceable by Apple and should have a normal life cycle of around three years. That’s good news, especially for buyers who will shell out up to $17,000 for an 18-karat gold Apple Watch Edition. As we reported yesterday, Apple also provided more details regarding the battery life of the device. While the watch can go for up to 72 hours on the special power reserve mode, Apple is quoting an 18-hour “all-day” battery life under normal usage. 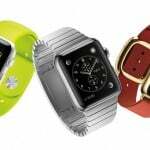 It will take 1.5 hours to charge the watch’s battery from 0 percent to 80 percent. Charging to 100 percent can be done in around 2.5 hours. 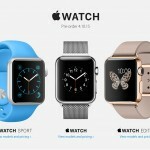 Buyers will be able to preorder the Apple Watch starting on Friday, April 10. It will officially arrive on Friday, April 24. Pricing starts at $349 for the 38mm Sport model and goes up from there. If you’re interested, take a look at the numerous Apple Watch configurations here. Are you pleased with the storage limitations of the Apple Watch? Even though I primarily use Spotify, I can see some users who might be displeased with the 2GB cap for music. Where will you buy the Apple Watch?